Tonight, at Callanwolde Fine Arts Center, CORE will be performing a tiny preview of Secret, which will be performed in full next weekend at Callanwolde, February first, second, and third. CORE will be performing alongside other artists as part of BLOOM, an evening of the Arts and Artists that bring Dekalb County to life. 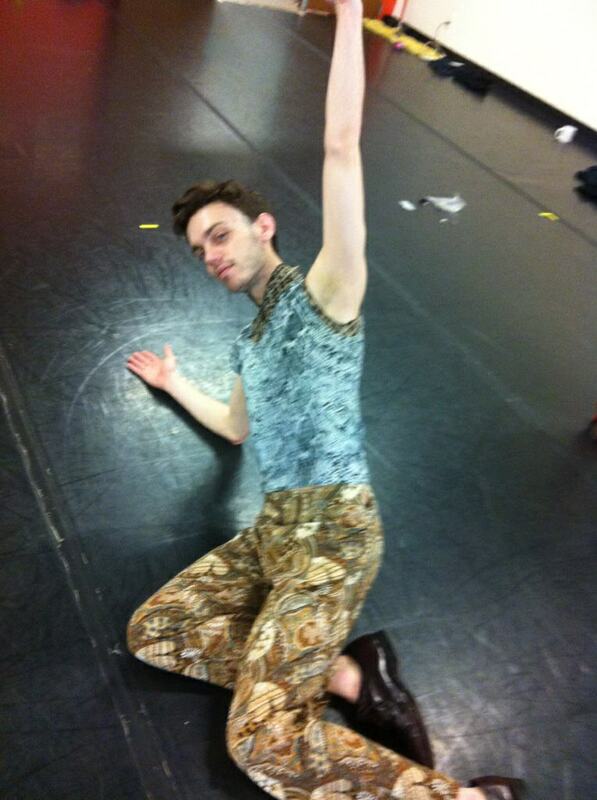 Today we got a look at the costumes we will be wearing next weekend, which is always exciting. Patton White, Company/Production Manager of CORE, brought out the costumes he designed for the dancers, fitting everyone and altering where it was needed. Here are a few photos of the costumes. Notice how well Joshua's costume suits him. As part of our inspiration for the choreography, we had to draw pictures. I don't want to give too much away, but these drawings happened way before we got a chance to see our costumes. 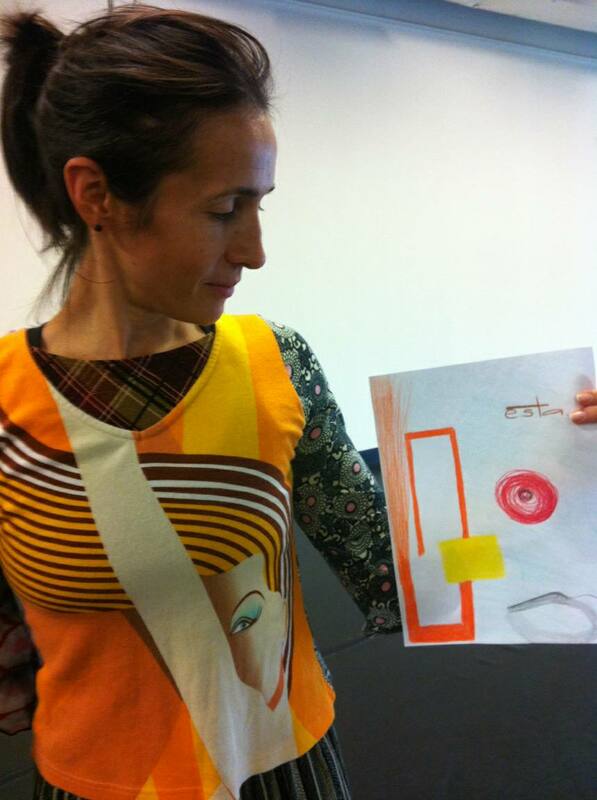 Here is Juana Farfán wearing her costume, holding up her drawing. Notice how well they match. After just a week of being back in the studio, we have accomplished so much. I am so proud of the company and all that we've accomplished this week. We hope to see you next weekend for Secret. You can get tickets and find out more about the show on our website.